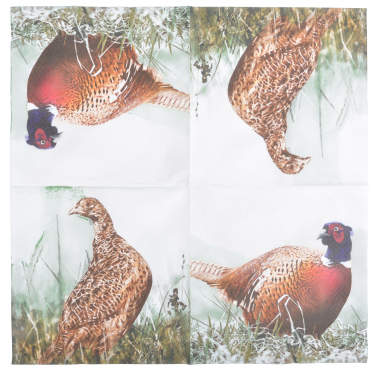 Whether your hosting a dinner party with friends, a sunday lunch with the family or simply wish to add a touch of the country to your dining table, these Pheasant Paper Napkins are sure to impress. An ideal stocking filler or small gift for shooting enthusiasts and beaters. 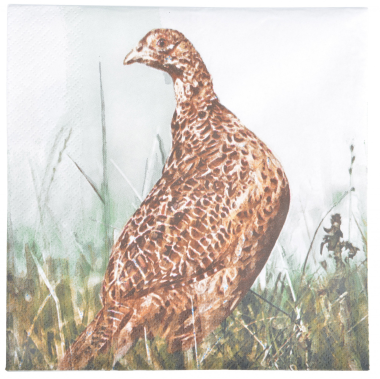 These napkins feature a male pheasant on one side and a female phesant on the other. 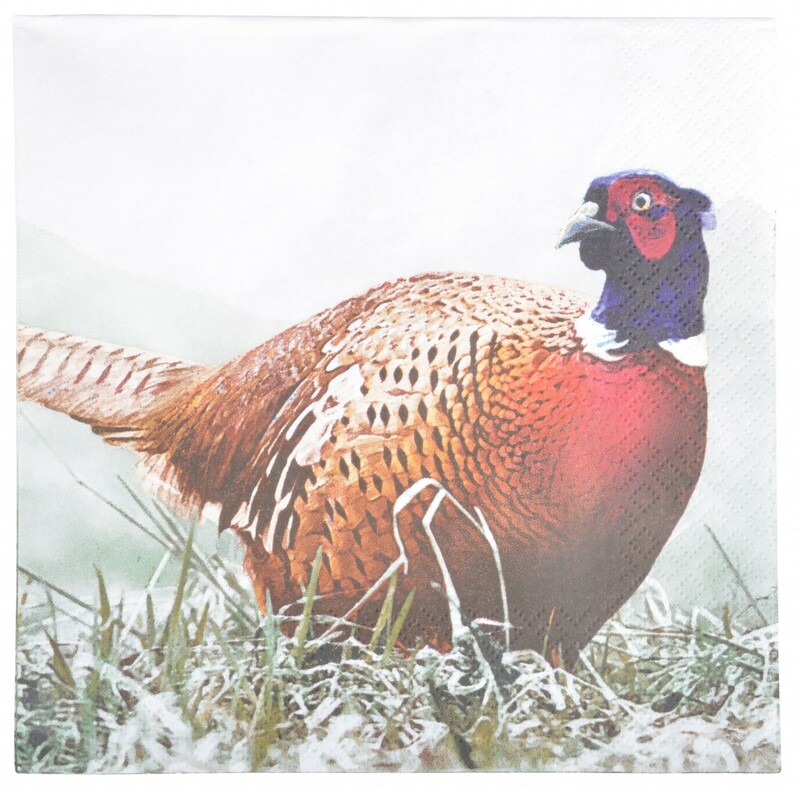 Measure approximately 33cm x 33cm (13" x 13"). 3 - ply tissue napkins.